Snorkel Diving is an exhilarating way to explore under the sea around the coast of Britain. There are many fish, crabs, lobsters and jelly fish to be seen as well as the occasional dolphin! Dorking Snorkelling Club teaches the techniques of breath hold diving, allowing you to see the sights above and below the water, both around the British coast and of course at more exotic places around the world. We are a local club providing training in snorkelling to British Sub-Aqua Club (BSAC) standards, the emphasis is on safety throughout our training. We teach youngsters from age 8 up to the age 80! [Who can swim at least 50m]. 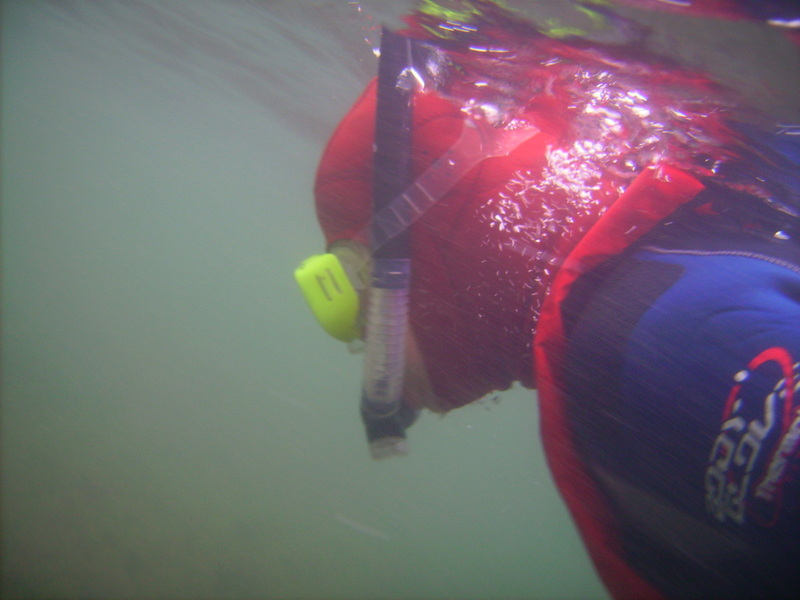 We cover the basics of snorkelling (selection of equipment) through to advanced snorkelling skills (Dive Management). There are also opportunities to learn other skills such as lifesaving and even boat-handling. We meet at Dorking Sports Centre on Sunday mornings at 08:30. There are opportunities for training to the full British Sub-Aqua Club syllabus as well as short 'holiday' courses. We have helped many with their Duke of Edinburgh's Award. Scout's can use snorkelling towards the water sports badge and Guides towards the sports badge.